A little over a year ago, Mom received a catalog in the mail for Junior's Cheesecake. Inside were pictures of some of the most delicious cheesecakes we had ever seen outside of the ones made at Roxy's Delicatessen in New York City. We decided that we must have one. Since I had just been laid off from my job, Mom and I vowed to order the most delicious-looking one - the lemon coconut - as soon as I found a job. Who knew that we would be waiting a whole year? Now that I've been employed at my job for almost two months, we decided that it was time. After verifying with Junior's customer service line that the prices were correct (after all, the catalog was a year old), I mailed the check for $48.95 ($37.95 for the cake; $11 for shipping) on Friday, March 4. 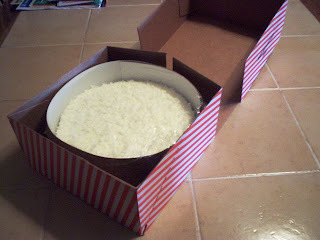 We were very pleased when the cake arrived packed in an air tight cooler on Thursday, March 10. We didn't even have to wait a week! Thank God! THE VERDICT: Oh. My. God. 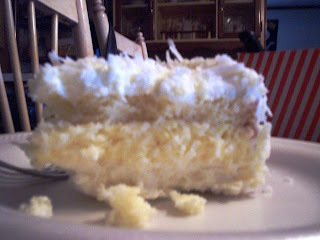 It was like heaven topped with coconut. I know that you're probably saying, "Wow, that's a little much to spend on a cheesecake." However, considering the one we ordered over 10 years ago from Roxy's was about $80, I think that $48.95 was a steal. We love the way that it was layered: the bottom crust was topped with a layer of creamy cheesecake which in turn was topped with a layer of lemon filling, a layer of white cake, and a layer of white frosting covered with coconut. It was as beautiful to look at as it was to eat. It was an 8" round, which doesn't seem large, but it was very thick and dense. A little piece went a long way. We also appreciated the way Junior's handled the order. They have a customer service line, kept us up to date with our order via e-mail and a UPS tracking number, and packaged it beautifully. 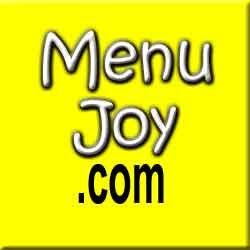 We would definitely order from Junior's again. The hardest part will be deciding what to get!